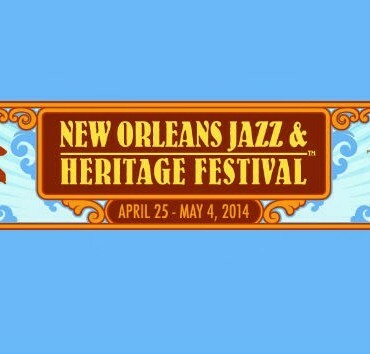 A few weeks ago I went to New Orleans for their annual Jazz Fest. Although I’ve been to the Crescent City several times before it’s been a good 15 years since my last visit – long overdue. I must be honest, at the Jazz Fest itself I didn’t get to hear as much local music as I had hoped. I arrived a little late each day and then focused my attention on the major acts on the big (Accura) stage where a couple of my favorites were performing – Springsteen and Arcade Fire. Both did terrific sets. But the festival ends early (7 PM) each day and that provides ample opportunity to go out to the clubs to hear more good music. One night we went to the Rock ‘n’ Bowl where we saw Kermit Ruffin (a local legend and star on HBO’s hit series Treme) as the opening act. Next on was another New Orleans band, The Iguanas. The Iguanas sound like Los Lobos relocated to New Orleans, especially their emphasis on Spanish language folk songs and Latin rhythms… and that ain’t bad. Another night we had tickets to see the Dr. John Tribute Concert. 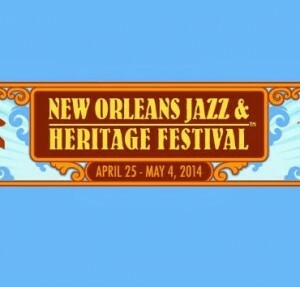 This one night only performance featured a “who’s who” of New Orleans musician royalty (Dirty Dozen Horns, Chief Monk Boudreaux, Cyril Neville, Irma Thomas) and a long list of other prominent rock & R&B stars (Warren Haynes, John Fogarty, Mavis Staples, Jimmie Vaughn, Chuck Leavell) too. (Gregg Allman and Lucinda Williams were no-shows.) Don Was acted as the musical director. Springsteen made a surprise appearance and opened the festivities on “Right Place, Wrong Time” – the good Dr. accompanying him on piano. Allen Toussaint performed his own song of “Life”, a version of which Dr. John released on his In the Right Place album. Here’s Toussaint’s instrumental “Java” made famous by Al Hirt with a Grammy award winning hit (#4, 1963). The Toussaint original recording comes off a very rare album from 1958 that I have called a copy of called The Wild Sound of New Orleans (credited simply to Tousan). Dr. John closed out the set, playing piano and singing on a few of his most well-known songs. My favorite was “I Walk On Gilded Splinters” from his classic Gris Gris album. Sarah Morrow did a trombone solo that was as swampy and spooky as the original Gris Gris recording here. The concert was filmed and will come out on DVD later this year. When it does, be sure to check it out. This entry was posted in song of the week, tom and tagged Allen Toussaint, Dr. John, I Walk On Gilded Splinters, Java, Kermit Ruffin, Lupita, Skokiaan, song of the week, The Iguanas, Tousan. Bookmark the permalink.